Francis Owtram has a PhD in International Relations from the London School of Economics and is an Honorary Research Fellow at the University of Exeter. He lectured in the Department of Politics and International Relations at the University of Kurdistan Hewler, Erbil, Iraq, 2007-12. He is the author of ‘The Kurdistan Region of Iraq and the Federal Constitution: A Perimeter Plinth of State Territorial Integrity or a Stepping Stone to Secession?’ in Gareth Stansfield and Mohammed Shareef (eds) The Kurdish Question Revisited (Hurst, 2017), and currently writing a book on the Kurds and the contemporary state system. 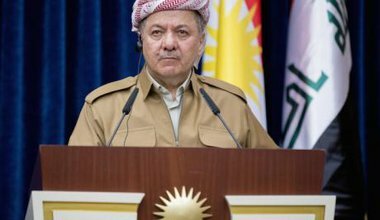 Will the approaching referendum on independence open up a new phase for the Kurds, abrogating the Sykes-Picot Agreement?